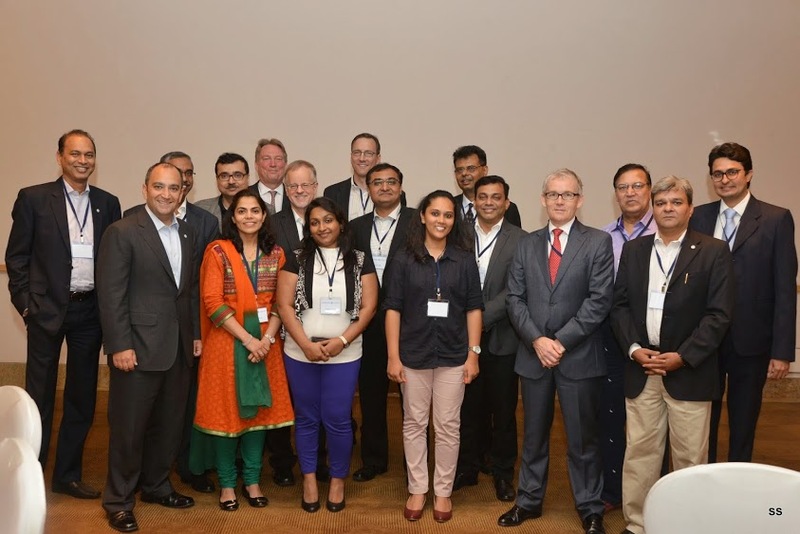 The CFA Institute and Indian Association of Investment Professionals (IAIP) hosted an Networking Event in Mumbai, on Wednesday, Nov 12 2014, with professionals & CFA charter holders from various parts of the world working in diverse segments of the financial services industry viz. equities, fixed income, rating agencies, wealth management, private equity, treasury & corporate finance areas. Paul Smith, CFA, Managing Director Asia Pacific at CFA Institute, introduced his team from CFA Institute as well as members of the Claritas Advisory Committee present on the occasion viz. Dean Junkans, CFA Chief Investment Officer at Wells Fargo Wealth, Brokerage and Retirement, Jayesh Bhansali, CFA, CAIA Head Global Derivatives & Fixed Income Quantitative Portfolio Management at TIAA-CREF, and Kishore Gandhi Chief Credit Officer at Fitch India Ratings. Jayesh Gandhi, CFA, President & Director, IAIP, apprised members & participants about the up coming India Investment Conference (IIC) on January 9th 2014 – the 5th in row. Some marque speakers in IIC include Prof. Arvind Panagariya, Russell Napier, and Dr. Vikram Mansharamani. Apart from the active volunteers, committee chairs and directors from IAIP, we had Sunil Singhania, CFA, currently a member of Board of Governors, CFA Institute, the highest governing body of the institute. Sunil is one of the founder and the past President of IAIP. This entry was posted in Events, Happy Hours, Mumbai. Bookmark the permalink.